Now that Thanksgiving is behind us (it’s definitely one of my very favorite holidays! ), I’m transitioning over to thinking about all-things-Christmas. I do love the festive feeling this time of year brings and I’m excited to do some decorating around our house. Christmas is pretty much the only holiday I decorate for - hopefully I’ll get to pull those boxes out this week and we’ll get our tree this weekend! This season, I’ve definitely been drawn to keeping things more minimalist - I think it’ll be all about greenery, some metallics, and natural textures. 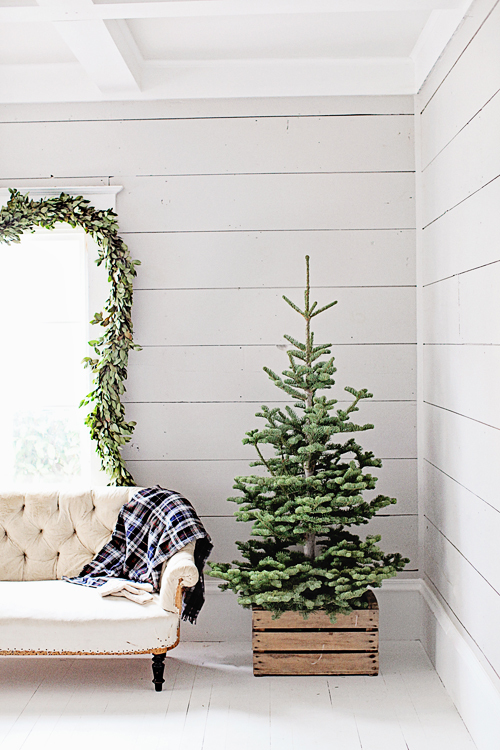 If I had to give the look I’m going for a general theme, it would probably fall under “simple Scandinavian,” and today I wanted to share some of the Christmas tree inspiration I’ve been loving that falls along those lines. I hope you find these gorgeous trees as inspiring as I do! The tree can be the jumping off point for the rest of your home - so get a piece of paper out and get ready to take some notes! Other things you’ll see sometimes are simple garlands made of wooden beads, paper, or felt, and alternative tree stands like baskets and crates. All of these different elements add up to a tree that has lots of texture and visual interest, but doesn’t feel like a Christmas explosion, if you know what I mean. The tree at the very top of the post is a perfect example - Niki from My Scandinavian Home lit up her tree with real candles (use extreme caution with that, of course! ), added some simple geometric metallic and round ornaments, and called it a day. It’s lovely! This one above went with traditional lights (a much safer option, ha!) along with simple ball and star ornaments. I love the modern star at the top and those brown paper gifts underneath are just right too. This one is even simpler - notice that it only uses those white stars as decor - but I think the simplicity is what makes it special. I would love to find a tree like this one this year - the sparse branches would work really well in our little house! If you have room for another smaller tree or two around your house, try going “naked” like the one above or just add some fairy lights (see the example below). If you plop it in a basket, crate, or another “alternative” tree stand, it will look intentional and add a sprinkle of Christmas cheer wherever you place it. Can’t have a real tree? 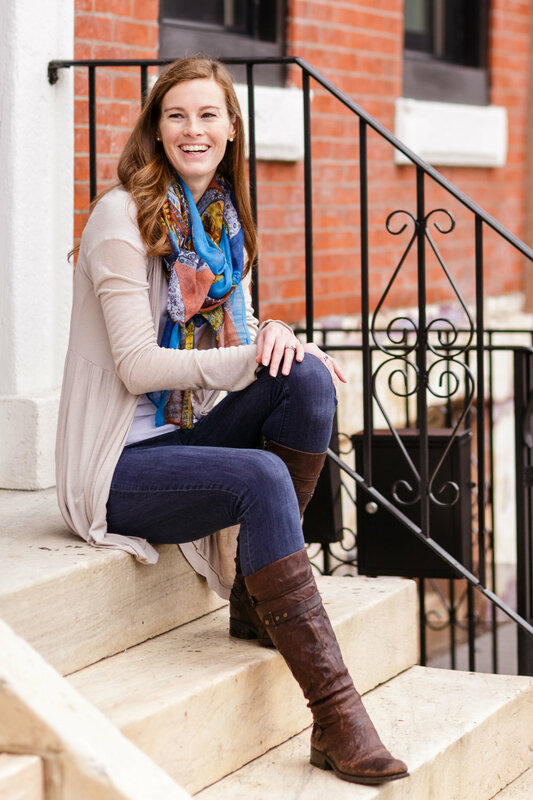 Find a good faux! I spotted the one above at Target and I liked the spaced out, blue-green branches. It reminds me of a blue spruce, which is one of my favorite kinds of Christmas trees. This one has really excellent reviews too! 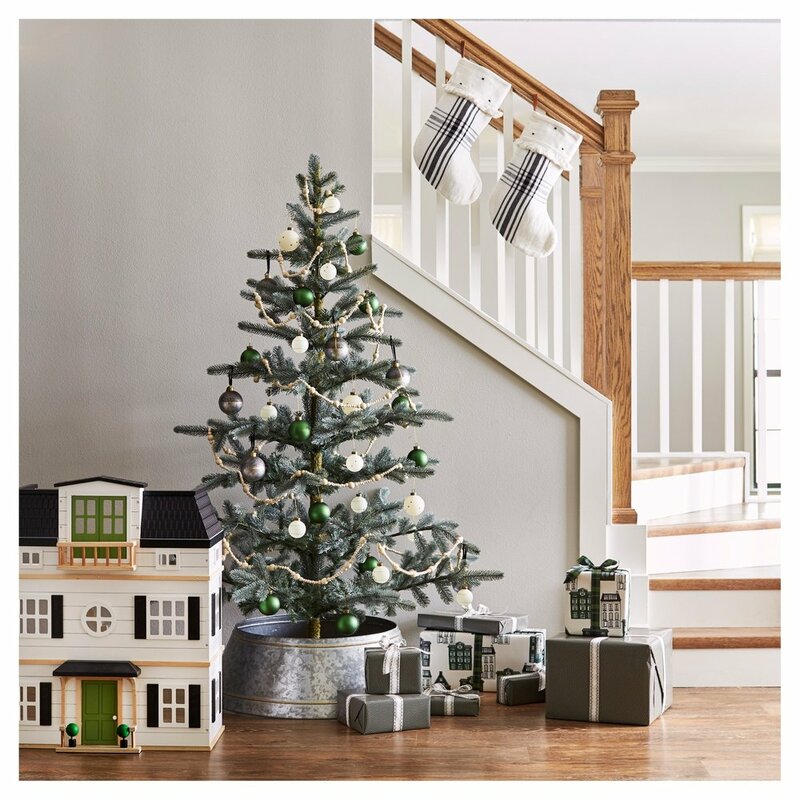 Finally, I had to share this beautiful, minimally decorated tree from Homey Oh My. Though the tree itself is very full, the simple decor is what stood out to me. She chose just three different types of decor (ball ornaments, paper Christmas trees, and a white felt ball garland) and the result is stunning! This just goes to show that you don’t have to have boxes and boxes of ornaments around to create a really lovely tree. So what do you think? 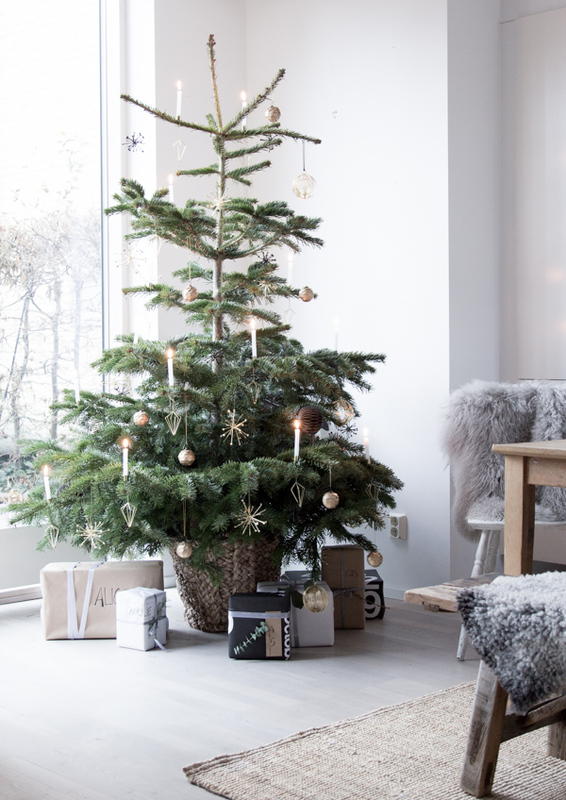 Are you on the “simple Scandinavian” Christmas tree bandwagon this year?